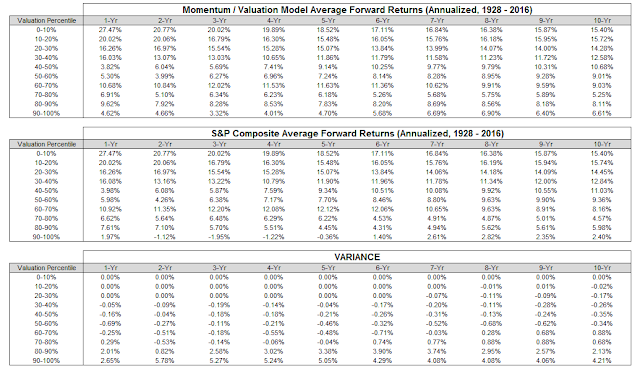 Charlie Bilello analyzed the relationship between market valuation and future returns (over various time horizons) in a recent post Valuation, Timing, and a Range of Outcomes. 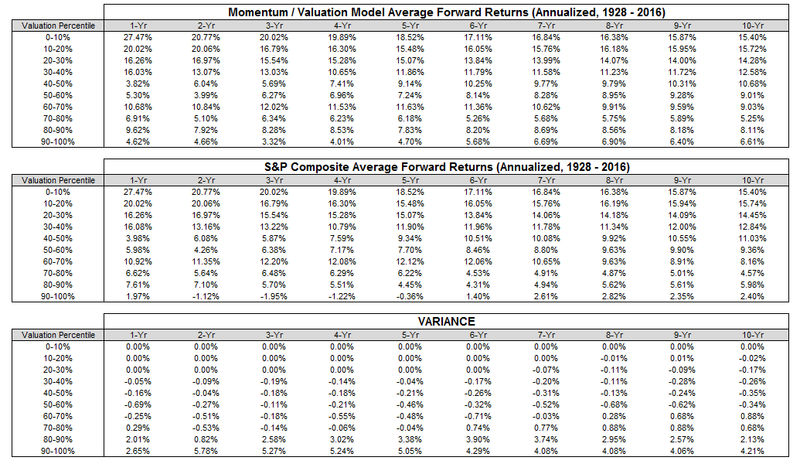 The post contained some very insightful tables, such as the one below, where he shows that valuations matter... if you pay less for stocks, you will generally be provided with higher returns (on average) over almost all time frames. The case for trend following when markets are expensive becomes abundantly clear when viewed in chart form... when markets are cheap, an allocation to stocks resulted in returns that were on average exactly the same as a buy-and-hold strategy over the short-term and returns that were broadly in-line with those of a buy-and-hold over longer periods. 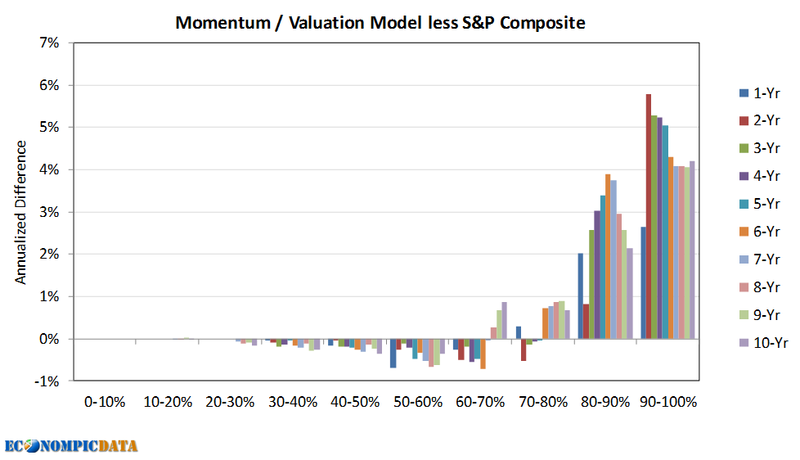 When markets were stretched, momentum protected an investor from severe drawdowns over shorter periods and allowed returns to on average compound over longer periods. At a current CAPE in the U.S. approaching a level that would put it in the top 10% of most expensive levels over this time frame, a momentum strategy may prove to be a good mechanism for investors to time exposure to an expensive U.S. market.